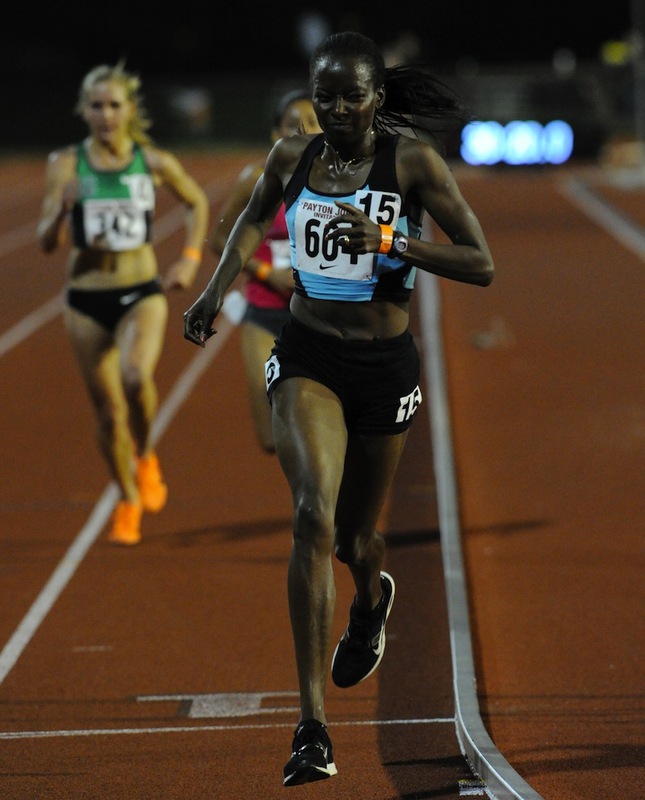 After an exciting Olympic Trials, 5 Questions with is back! Today we have the first of our interviews with a member of the 2012 London Olympic Team. 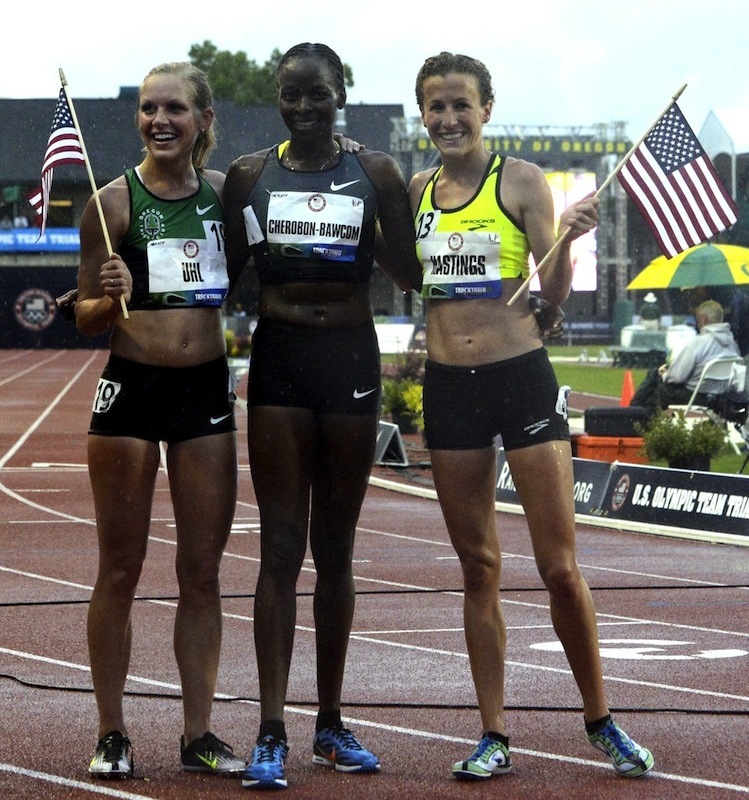 She overcame sickness in Eugene and made her way from roads star to Olympian in just over a year. 1. Writing About Running: First off, congrats on becoming an Olympian. 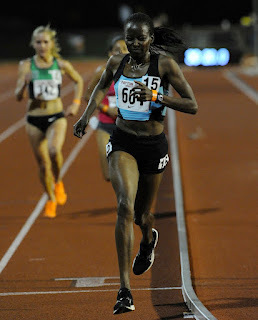 What has your last week been like as a member of the 2012 US Olympic team that will be traveling to London next month? Janet Cherobon-Bawcom: It's been super hectic. I am taking a full load of classes this summer, and after a couple of days of excitement in Oregon, it was back to reality - and to being way behind on my work. To make things worse, we got back to Georgia just in time for the heat wave to hit and decided to head back out to Flagstaff where there was less heat and less oxygen. I've been here since the 1st, and I'm finally getting caught up on sleep, homework, and getting back into some good training. 2. 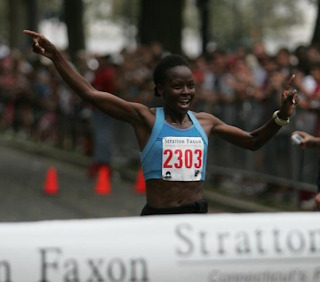 Writing About Running: With the nature of the Women's 10,000, you were one of three women (excluding Shalane Flanagan, who will run the Olympic Marathon) who had the Olympic A-Standard. What was your strategy with that in mind? Janet Cherobon-Bawcom: To be honest, I was so sick in Eugene that I can't even pretend that I had a strategy. I'd been fighting a respiratory illness ever since Bolder Boulder, and it took a real turn for the worse when I got out to Oregon. I wasn't going to publicize it before the race, but I knew that, if anyone made a successful run at the "A" standard there, I would be left off the team for sure. There was no way I was going to keep up with them - I could barely breath during the race. Of course, two miles in, I knew that the pace was too slow for anyone to hit the standard, and it was like a huge weight was off my shoulders. It's not how anyone would want to make the team, but with the way I was feeling that night, I had to say a big prayer of thanks that I even made it through the race. Of course, the really ironic part for me was that I went into the Payton Jordan meet just shooting for the trials "A" standard. I hadn't run on the track since 2006, my 10k PR on the road was 32:26, and I really didn't consider myself a contender for a spot on the team. The Friday before that meet, I did a workout in Flagstaff that made me think, "you know, I might be able to break 32:00 if I get lucky." Well, I got in the race, felt decent, and now here we are. 3. 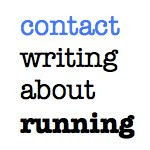 Writing About Running: You have had a whirlwind past few years with gaining your citizenship, winning the USA Running Circuit Championship and becoming an Olympian. Is this what you imagined when you heard the term "the American dream?" Janet Cherobon-Bawcom: Again, I can't pretend that I had any idea or dream about being where I am. I came to the US never having broken 20:00 for 5k. My dream at that time was just to run well enough to keep my scholarship so that I could pursue my "American Dream" of getting my nursing degree. I had zero aspirations of doing anything significant as an athlete. 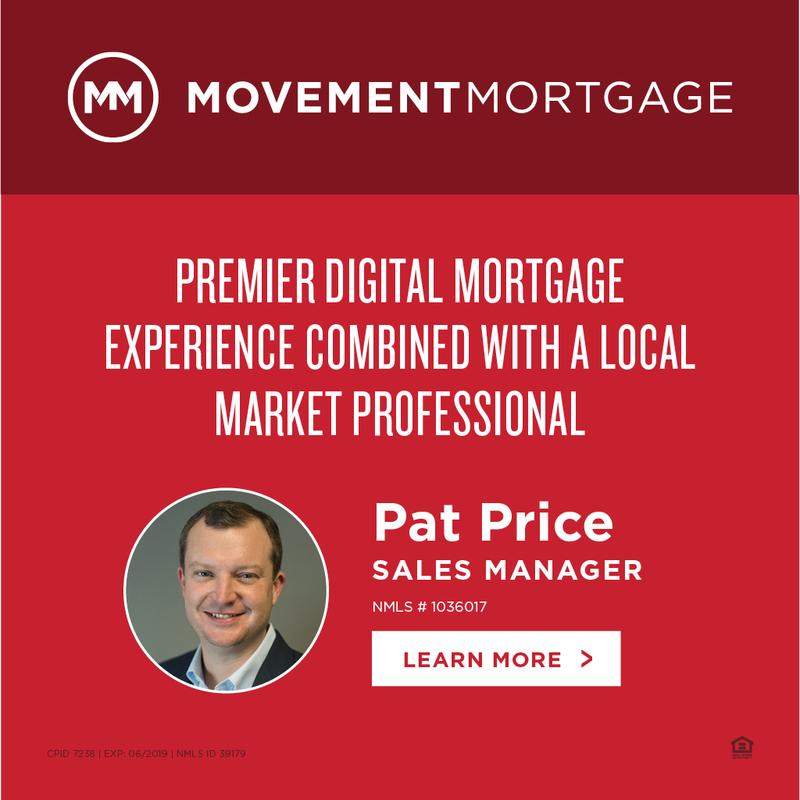 I loved watching the Olympics as a kid - my favorite athlete was Maria Mutola back then - but I wasn't involved in the sport at the time, so I certainly didn't dream that I'd be where I am. After college, I kept running just to give me something to do - even with 3 DII championships to my name, my PR's were not blazing fast (16:19 and 34:21), and I wasn't a US citizen - so I couldn't dream of running for the US. When I started the citizenship process, I would've been crazy to think that one day I'd be representing the US - at that time my marathon PR was just under 3 hours. I was hoping that I could become a citizen and one day work for the Center for Disease Control. Needless to say, I think God had other things in mind because there's no other explanation for the way things in my life have worked out. 4. Writing About Running: What's it like training with the legendary coach, Jack Daniels? Janet Cherobon-Bawcom: It's been great. Jack is the perfect fit for me. He's a true genius, but he is also someone who really respects the experience I have as an athlete and the knowledge I have about how my body responds to certain things. I do some pretty crazy things from time to time - racing too much, etc. - but instead of trying to talk me out of things, Jack works hard to make the best plan for me, even if it seems crazy. I really appreciate that he's committed to helping me reach my goals - not like some coaches who try so hard to force their ideas on the athletes. He understands that my running is just that, my running, and he does a brilliant job of helping me get the most out of it. 5. 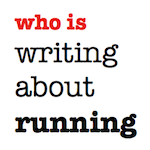 Writing About Running: Your twitter profile says "Started running so I wouldn't have to keep milking cows. Still running and still not milking cows!!!!" When exactly is the last time you milked a cow? and what are your plans after the Olympics? Janet Cherobon-Bawcom: Actually, I milked a cow in February when I was back in Kenya. The weather in Flagstaff was killing my training, and I wanted to be at altitude to get ready for my spring season, so I decided that it would be an ideal time to go visit my family. My little sisters started talking some trash about how I'd gone soft in America, and I had to defend myself, so I grabbed the old milking bucket and got to work. It's pretty much like riding a bicycle - once you learn how.... Of course, I'm not so great on the bicycle, so who knows. After the Olympics, I'm actually going for a long vacation with my husband's family, then back to training with my eye on doing a few USA Running Circuit events and a fall marathon. 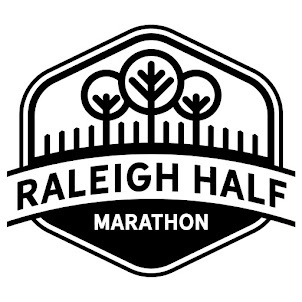 I've been running pretty much non-stop since last August, so after the marathon, I plan to take a long break from running - and then we'll see what happens! Great interview! So glad to read more about Janet! This was great! Fun to read more about Janet. I was there when Janet came to the U.S. (I was two years ahead of her at Harding on the CC and track teams), and it's amazing to see what she's done. I almost cried when she qualified for the Olympics - couldn't wipe the smile off of my face. Seeing Janet's steady rise in running success should remind all of us that dreams can come true, even in your 30s. Thanks for doing this interview, and thanks, Janet.